Bookworm Boutique: Review: Flitwicks 'Let it Snow' box! 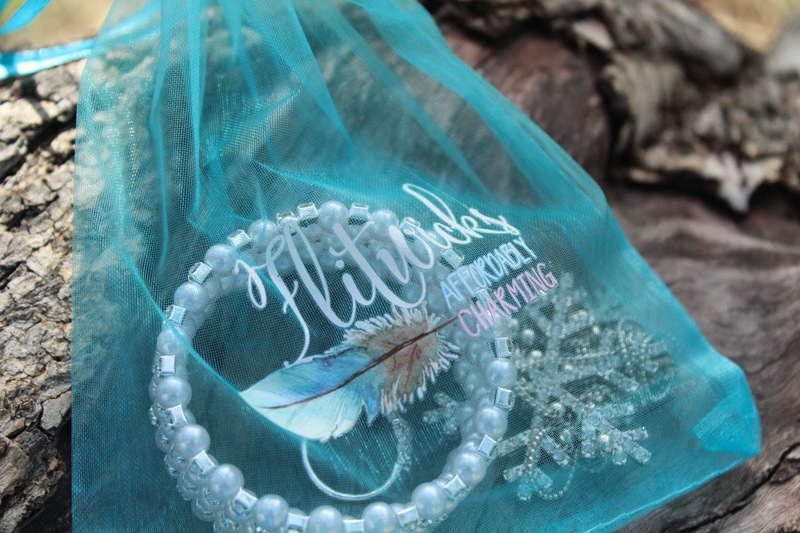 Review: Flitwicks 'Let it Snow' box! It's time again to share my experience with Flitwicks: Affordably Charming. Flitwicks is a subscription based company that costs $12USD + shipping per month (they do ship internationally!). Inside each box are three pieces of jewelry based around a certain theme. The jewelry is what I consider 'costume jewelry', so it's not something you'd necessarily wear every day, but it's awesome to dress up with or to compliment a certain outfit. 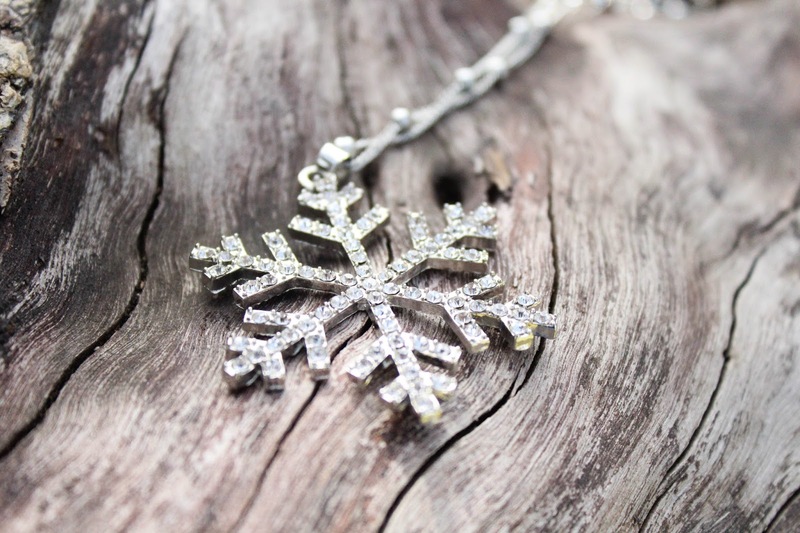 December's theme was Let It Snow, who doesn't love jewelry dedicated to the snowy season?! 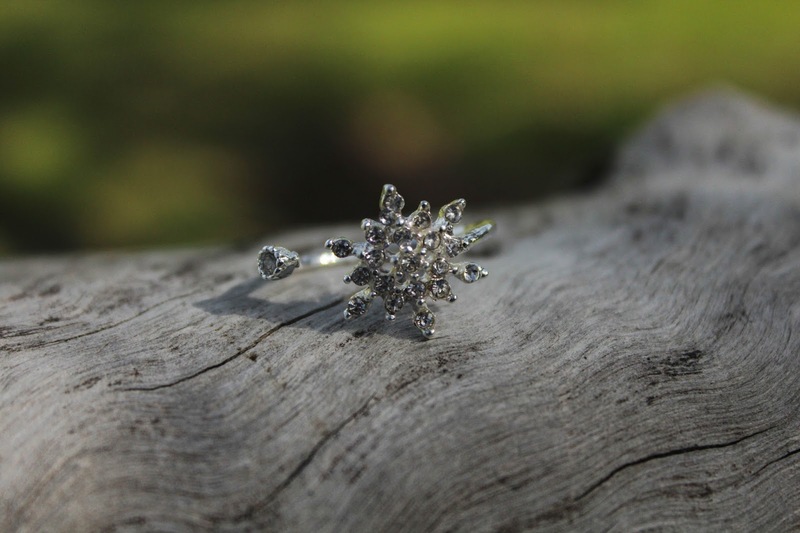 The first item I removed from the beautifully packaged box was this snowflake themed, adjustable ring. I literally put it on right away because these are the kinds of items that I always fall in love with, especially when they're not "one size fits all" that doesn't really fit all, there's nothing worse than that, so this ring was absolutely perfect. It's also such a stunning piece, I think I'll be wearing it quite a lot. I definitely didn't do this necklace justice with this photo, it was a two-tiered necklace, this was the larger of two snowflakes that sat at the bottom, the smaller one rested just above and I freaking love it. Unfortunately, it's summer here in NZ, so I'll have to wait a little while to wear it, but I can definitely see myself accessorizing with this item come June/July! 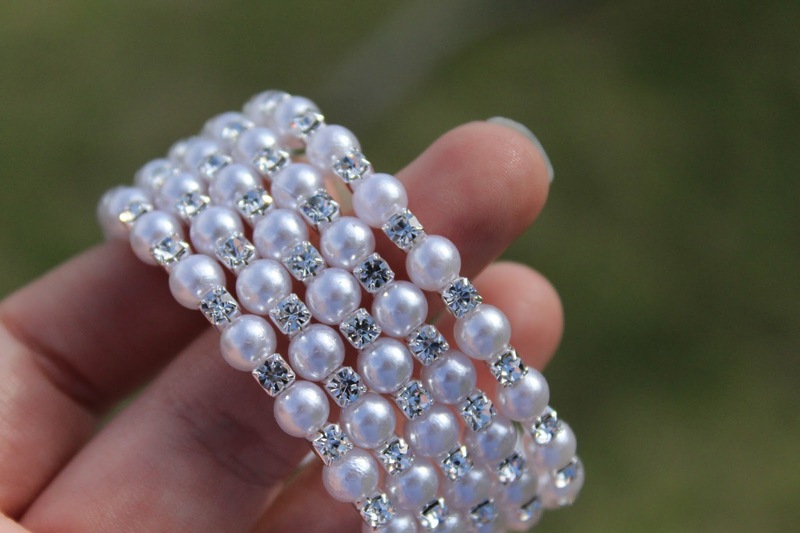 My favourite of the three items was this bracelet, something about it made me feel so magical! It's the kind of piece that I'd wear to a Christmas or even princess themed party, I think I'll make any excuse to wear this at whatever themed parties I end up at! Again, it's something that will fit everyone, so everyone is happy! I am honestly obsessed with this box and it's contents... Even down to the packaging (I don't think I've mentioned the packaging enough, is it normal to love packaging this much????) Plus their name and slogan are a reference to Harry Potter so let's be real here, this business is fabulous. I hope that you all enjoyed this write up of Flitwicks December 'Let it Snow' box, I really enjoyed writing it and photographing the beautiful items inside! Make sure to tell me in the comments below which would be your favourite item, and if you've subscribed to Flitwicks! As always, thanks for reading, don't forget to comment and subscribe!